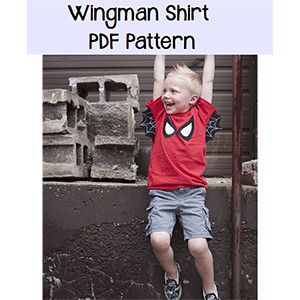 This beginner knit pattern has a SUPER fun option of wings and hood to make any crime fighter a perfect everyday outfit THEY WILL LOVE! 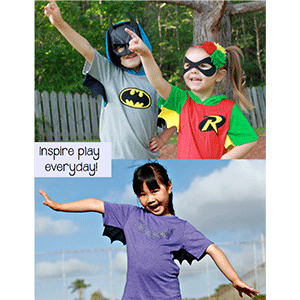 Inspire pretend play at any age with this quick and adorable t-shirt. Or go for the Classic Crew option for a style that will never be out of style! The shirt is an "athletic fit" meaning not baggy, but not fitted :) A long and lean modern fit!! This pattern is available in sizes 3m to 14. 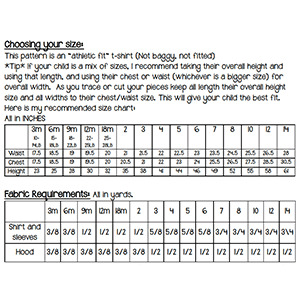 Suggested fabrics are cotton lycra or cotton jersey.